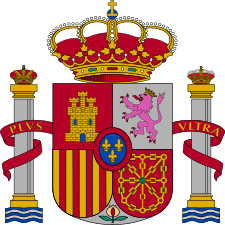 The Spanish transition to democracy (Spanish: Transición española a la democracia), or simply the Transition (Spanish: La Transición) refers to the restoration of democracy in Spain after the death of Francisco Franco in 1975. The transition began shortly after Franco's death on 20 November 1975, while its completion has been variously said to be marked by the Spanish Constitution of 1978, the failure of an attempted coup on 23 February 1981, or the electoral victory of the Spanish Socialist Workers' Party (PSOE) on 28 October 1982. Though faced with political and economic crises at the time, the transition to democracy was one of the factors that allowed Spain to join the European Economic Community and NATO. Francisco Franco came to power in 1939 following the Spanish Civil War and ruled as a dictator until his death in 1975. In 1969, he designated Prince Juan Carlos, grandson of Spain's former king, Alfonso XIII, as his official successor. For the next six years, Prince Juan Carlos initially remained in the background during public appearances and seemed ready to follow in Franco's footsteps. Once in power as King of Spain, however, he facilitated the development of a constitutional monarchy as his father, Don Juan de Borbón, had advocated since 1946. The transition was an ambitious plan that counted on ample support both within and outside of Spain. Western governments, headed by the United States, now favored a Spanish constitutional monarchy, as did many Spanish and international liberal capitalists. Nevertheless, the transition proved challenging, as the spectre of the Civil War (1936–1939) still haunted Spain. Francoists on the far right enjoyed considerable support within the Spanish Army, and people of the left distrusted a king who owed his position to Franco. The realization of the democratic project required that the leftist opposition restrain its own most radical elements from provocation, and that the army refrain from intervening in the political process on behalf of Francoist elements within the existing government. King Juan Carlos began his reign as head of state without leaving the confines of Franco's legal system. As such, he swore fidelity to the Principles of the Movimiento Nacional, the sole legal party of the Franco era; took possession of the crown before the Francoist Cortes Generales; and respected the Ley Orgánica del Estado (Organic Law of the State) for the appointment of his first head of government. Only in his speech before the Cortes did he indicate his support for a transformation of the Spanish political system. Torcuato Fernández-Miranda, the president of the Council of the Kingdom, obtained Adolfo Suárez's placement on the new list of three candidates for King Juan Carlos to choose to become the new head of government. The king chose Suárez because he felt he could meet the challenge of the difficult political process that lay ahead: persuading the Cortes (Spanish parliament), which was composed of installed Francoist politicians, to dismantle Franco's system. In this manner he would formally act within the Francoist legal system and thus avoid the prospect of military intervention in the political process. Suárez was appointed as the 138th Prime Minister of Spain by Juan Carlos on 3 July 1976, a move opposed by leftists and some centrists given his Francoist history. The development of a Law for Political Reform that, once approved by the Cortes and Spanish public in a referendum, would open the constituent process for creating a liberal democracy in Spain. Despite these challenges, Suárez's project was carried out without delay between July 1976 and June 1977. In this short period of time Suárez had to act on many fronts to achieve his aims. Federica Montseny speaks at the meeting of the CNT in Barcelona on 1977 after 36 years of exile. The draft of the Law for Political Reform (Ley para la Reforma Política) was written by Don Torcuato Fernández-Miranda, speaker of the Cortes, who handed it over to the Suárez government in July 1976. The project was approved by the Suarez Government in September 1976. To open the door to parliamentary democracy in Spain, this legislation could not simply create a new political system by eliminating the obstacles put in place by the Franco regime against democracy: it had to liquidate the Francoist system through the Francoist Cortes itself. Throughout the month of November the Cortes, under the able presidency of Fernández-Miranda, debated this law, which it ultimately approved with 425 votes in favor, 59 against, and 13 abstentions. The Suárez government sought to gain further legitimacy for the changes through a popular referendum. On 15 December 1976, with a 77.72% participation rate, 94% of voters indicated their support for the changes. From this moment, it was possible to begin the electoral process (the second part of the Suárez program), which would serve to elect the deputies of the Constituent Cortes, the body that was to be responsible for creating a democratic constitution. With this part of his plan fulfilled, Suárez had to resolve a crucial issue: should he include the opposition groups who had not participated at the beginning of the transition? Suárez also had to deal with another delicate issue: coming to terms with the anti-Francoist opposition. Suárez adopted a series of measured policies to add credibility to his project. In July 1976 he issued a partial political amnesty, freeing 400 prisoners. He extended this in March 1977, and finally granted a blanket amnesty in May of the same year. In December 1976 the Tribunal de Orden Público (TOP), a sort of Francoist secret police, was dissolved. In March 1977, the right to strike was legalized, with the right to unionize being granted the following month. Also in March a new electoral law (Ley Electoral) introduced the necessary framework for Spain's electoral system to be brought into accord with those of other countries that were liberal parliamentary democracies. Suárez had initiated political contact with the opposition by meeting with Felipe González, secretary general of the Spanish Socialist Workers' Party (PSOE), in August 1976. The positive attitude of the socialist leader gave further support for Suárez to carry forward his political project, but everyone clearly perceived that the big problem for the political normalization of the country would be the legalization of the Communist Party of Spain (Partido Comunista de España, PCE), which had, at the time, more activists and was more organized than any other group in the political opposition. However, in a meeting between Suárez and the most important military leaders in September, the officers strongly declared opposition to the legalization of the PCE. 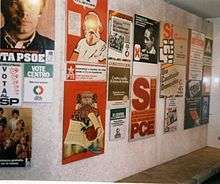 In December 1976, the PSOE celebrated its 27th Congress in Madrid, and began to disassociate itself from the demands of the PCE, affirming that it would participate in the next call for elections for the Constituent Cortes. At the beginning of 1977, the year of the elections, Suárez decided to confront the problem of legalizing the PCE. After the public indignation aroused by the Massacre of Atocha in January 1977 against trade-unionists and Communists, Suárez decided to talk with PCE secretary general Santiago Carrillo in February. Carrillo's willingness to cooperate without prior demands and his offer of a "social pact" for the period after the elections pushed Suárez to take the riskiest step of the transition: the legalization of the PCE in April 1977. However, throughout this critical period the government began a strategy of providing greater institutional space to the Unión General de Trabajadores (UGT) Socialist union in comparison to the then Communist-oriented CCOO. The manner in which a unified trade union was strategically countered is an important feature of the Spanish transition as it limited radical opposition and created the basis for a fractured industrial relations system. 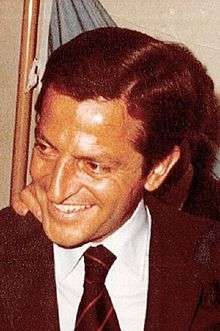 Adolfo Suárez knew well that the "Búnker"—a group of hard-line Francoists led by José Antonio Girón and Blas Piñar, using the newspapers El Alcázar and Arriba as their mouthpieces— had close contacts with officials in the army and exercised influence over important sectors of the military. These forces could constitute an insurmountable obstacle if they brought about military intervention against political reform. To resolve the issue, Suárez intended to support himself with a liberal group within the military, centered on General Díez Alegría. Suárez decided to give the members of this group the positions of authority with the most responsibility. The most notable personality of this faction within the army was General Manuel Gutiérrez Mellado. But in July 1976, the Vice President for Defense Affairs was General Fernando de Santiago, a member of a hardline group within the army. De Santiago had shown his restlessness before, during the first amnesty in July 1976. He had opposed the law granting the right to unionize. Suárez dismissed Fernando de Santiago and nominated instead Gutiérrez Mellado. This confrontation with General de Santiago caused a large part of the army to oppose Suárez, opposition that further intensified when the PCE was legalized. The Basque Country remained, for the better part of this period, in a state of political turbulence. Suárez granted a multi-stage amnesty for numerous Basque political prisoners, but the confrontations continued between local police and protesters. 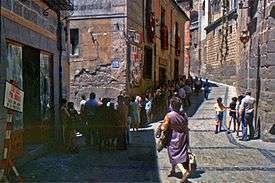 ETA, which in the middle of 1976 seemed open to a limited truce after Franco's death, resumed armed confrontation again in October. 1978–1980 would be ETA's three deadliest years ever. But it was between December 1976 and January 1977 that a series of attacks brought about a situation of high tension in Spain. The Maoist GRAPO (Grupos de Resistencia Antifascista Primero de Octubre) began its armed struggle by bombing public locations, and then continued with the kidnapping of two important figures of the regime: the President of the Council of the State José María de Oriol, and General Villaescusa, President of the Superior Council of the Military Justice. From the right, during these kidnappings, members of the neo-fascist Alianza Apostólica Anticomunista murdered six members of the PCE, five of them labor lawyers, in an office on Atocha Street in Madrid in January 1977. More political posters in the same exhibition. 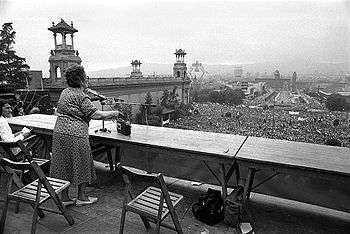 The Constituent Cortes (elected Spanish parliament) began to draft a constitution in the middle of 1977. In 1978 the Moncloa Pact was passed: an agreement amongst politicians, political parties, and trade unions to plan how to operate the economy during the transition. 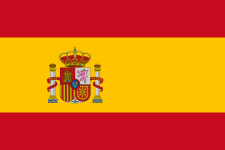 The Spanish Constitution of 1978 went on to be approved in a referendum on December 6, 1978. The UCD received a plurality, but not an absolute majority, in both the June 1977 and March 1979 elections. To exercise power, the UCD had to form parliamentary coalitions with other political parties. Toledo during the election process in 1977. The government spent much of its time from 1979 working to hold together the many factions within the party itself, as well as their coalitions. In 1980, the Suárez government had for the most part accomplished its goals of transition to democracy and lacked a further clear agenda. Many UCD members were fairly conservative and did not want further change. For example, a bill to legalize divorce caused much dissension inside the UCD, in spite of being supported by the majority of the populace . The UCD coalition fell apart. Calvo Sotelo dissolved parliament and called elections for October 1982. 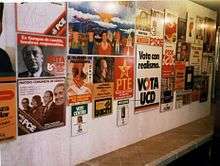 In the 1979 election the UCD had achieved a plurality, but in 1982 it suffered a spectacular defeat. The elections gave an absolute majority to the PSOE, which had already spent many years preparing its image of an alternative government. ↑ "Historia de un Cambio". Ayuntamiento de Dúrcal. Archived from the original on 28 September 2007. ↑ Jiménez-Díaz, José-Francisco (2016): “Adolfo Suárez González”, in Jiménez-Díaz, José-Francisco & Delgado-Fernández, Santiago -Editors-: Political Leadership in the Spanish Transition to Democracy (1975-1982). Nueva York: Nova Science Publishers, 2016, pp. 41-58. ↑ "Acciones Terroristas: Víctimas Policiales de ETA". La Guardia Civil. ↑ "Appendix A: Table 2. Selected Election Results for the Congress of Deputies, 1977-86". Country Studies: Spain. Library of Congress.